[Comprehensive] Nespresso Machine Comparison: Which Model is Best? Nespresso is awesome, I probably brew between 2-5 capsules every day in one of my machines. Yes, I actually own and use multiple Nespresso machines. But that is the problem, there are so many machine to choose from. I like the machines in general and I know that they are all very similar yet quite different in very subtle ways. 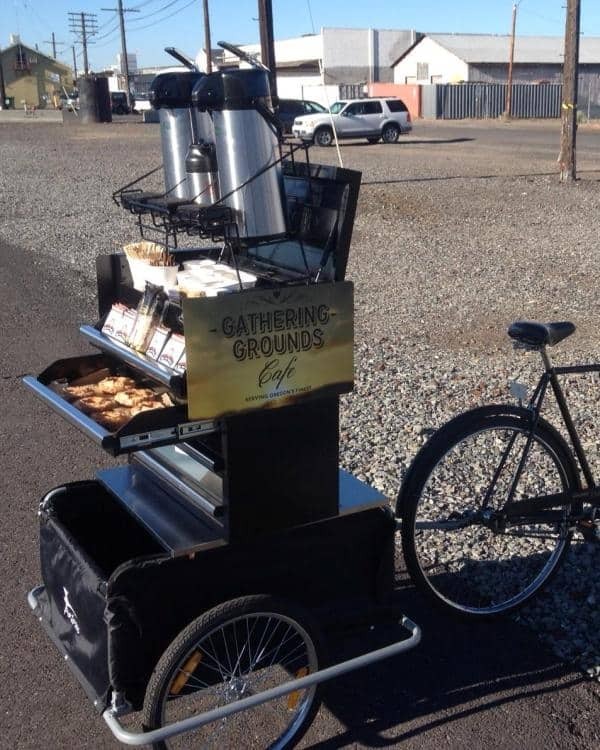 I sometimes brew my morning cup from one machine over another one, and then the next day I switch it up for various reasons! Considering the fact that you can easily pickup a used machine for less than $100 if you want to or you could buy a brand new model ranging in price anywhere from $100 (on sale) up to half a grand it can be a bit nerve racking trying to figure out the differences between all the models. Is it worth spending more on the fancier versions or are the entry level units going to do the job justice? The simple fact of the matter is that there are give-or-take 11 in production Original line Nespresso machines to choose from, 5 commonly found discontinued Original line machines floating around through various retail stores, and 4 more in production Vertuo line machines to choose from… and all of the machines are made from a variety of manufacturing companies like De’Longhi, Breville, and Krups just to name a few. Even within the exact same model there can be differences in the appearance of the machine from one manufacturer to another on top of body color. It’s a big job but I know enough about Nespresso units to try and help the novice out. The goal of this page is to help you understand the differences between all the options out there so you can choose for yourself (with confidence) which machine is worth spending your money on. Which machine do I use most frequently in my kitchen? I use the basic Essenza Mini most frequently but the Expert is my preferred choice if I want something closer to drip coffee because I can brew an Americano at the touch of a button. With that being said, lets start dissecting the full line of Nespresso machines. As of late 2018 there are two fundamentally different styles of Nespresso machines. There are Nespresso Original Line Machines and Vertuo Line Machines. To briefly describe the difference I’ll say that Original line machines like the well reviewed Pixie can brew any Nespresso style pod regardless of brand. Third party brands can make and sell capsules and all of these original-style machines can brew them. In the Vertuo line universe the machines can only brew capsules that include Nespresso licensed barcodes meaning selection will be vastly limited to mostly Nespresso branded capsules only. Vertuo line machines like the base model Vertuo also can brew different size capsules depending on what you intend on brewing. For instance coffee sized capsules are a lot larger than espresso sized capsules. You can see our full comparison of those two systems here for more detail on the differences between Vertuoline and Originalline capsules and machines. The following machines are also Original line machines but they have been discontinued in favor of newer models. If you see any of these in stores just know that they are older styles but still may work perfectly fine for you for years to come if taken care of properly. What can be even more confusing is that of the 11 in-production machines there are three different “styles” to choose from. 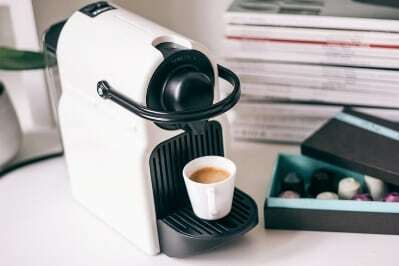 The entry level (just-make-a-shot-of-espresso) style machines include the Essenza Mini, Pixi, and CitiZ which can very in price by roughly a $100 brand new. There are differences between these models but not a lot of substantial differences. Arguably the Nespresso Expert would also be included in this list of basic machines but it would be the top-of-the-line option in this set because it has a lot of upgraded features like my aforementioned Americano setting which can approximate standard drip coffee closely using a regular Nespresso capsule. 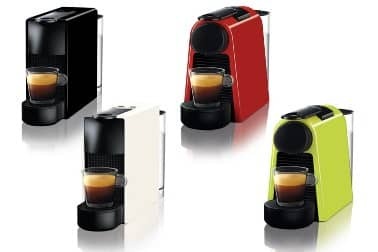 If you have the pockets to support the Lattissima line of Nespresso machines you will have to choose between four units that all make mixed espresso drinks at the press of a button or two. The Lattissima, Lattissima Touch, Lattissima Pro, and the newest model, the Lattissima One. We have fully compared the products on other pages of this website but right here I will quickly summarize those differences. Each Lattissima device includes an on-board and fully automated milk reservoir and frother. If you want a latte, the machine will brew your espresso to size then heat, froth, and add milk to your drink. The details of the machines however are hard to identify but they will make the difference on your purchase satisfaction. For instance the Lattissima+ has two brew sizes and a smallish water reservoir while the Lattissima Pro has three brew sizes and a noticeably larger water reservoir. There are of course tons of other small differences buried in the details. The biggest feature of them all however is the integrated, on-board, fully automated milk system… and if you want to have full control over your milk frothing then the Lattissima line is not for you, likely the Creatista line will be more to your liking. The Creatista line is a subset of the Original line machines. They are similarly priced to the Lattissima machines and they also come in different styles ranging in price by the hundreds. 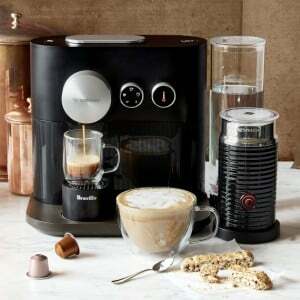 If you want a Nespresso machine that has the on-board milk steamer and texturing system but want full control of the process like a traditional espresso machine then you will have your choice between the Creatista Uno, Creatista, and the top-of-the-line Creatista Plus which is quite spendy indeed. As you would expect style and feature differences can be found within the Creatista line of products so choose from them will be another beast to tackle. As mentioned previously the Verto machines all use a different type of capsule that has proprietary scanning technology built in. Additionally these machines can brew different size and shaped pods to make different types of coffee drinks. 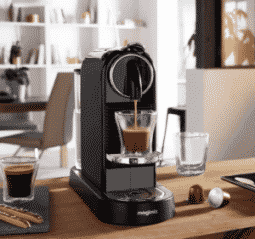 These machines are marketed by Nespresso and espresso and coffee makers because you can insert a Vertuo coffee pod to brew larger portions similar to drip coffee or smaller capsules more akin to the espresso shots Nespresso users have been accustomed to. The Vertuo Plus even has a capsule size called Alto which is designed for larger 14oz portions of coffee! Within the VertuoLine machines there are the following units which are listed below in ascending order of typical pricing as recommended by Nespresso.com. As you can see Nespresso has an identical price recommendation for the Vertuo and Vertuo Plus which may mean that one of these two may be discontinued in the future with the inclusion of the newer VertuoPlus Deluxe which was released in early 2017. The Evoluo you might think is a new style of machine within the Vertuoline but in actuality it is just a supercharged, larger unit. It has a larger reservoir and a stronger heating element. There are some other subtle differences but nothing more substantial than that. So Which Nespresso Machine is Best?!?! Such an obvious question to dovetail into but not easily answered. Obviously if money were of no concern you could argue that the Lattissima Pro and the Creatista Plus are best but the fact of the matter is that many people don’t want the luxury or the advanced options these units provide. If you do want an integrated milk frothing system then you should look to either the Lattissima line or the Creatista line but if you never (or rarely) intend on mixing steamed milk into your drinks then neither of these models are going to be worth the money spent. 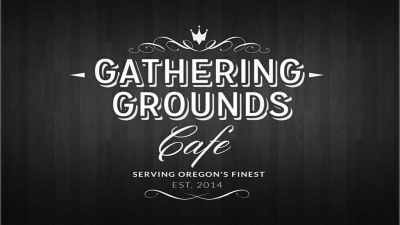 I personally believe the complicated capsule system of the Vertuoline machines is not worth getting involved with… unless you absolutely want the ability to have one single machine sitting on your counter that is able to both produce 1oz ristretto shots followed up by 17oz cups of coffee. Most people should be fine with the Original line’s Expert machine and it’s ability to brew an espresso and mix in straight water to make an Americano. The average coffee drinker tends to view these two drinks interchangeably anyway. For straight espresso junkies though all the machines other than the low cost Essenza Mini, Pixe, or CitiZ are not worth buying. Then the decision has everything to do with size requirements, budget, and trim level. The CitiZ doesnt really make better espresso than the other two but it’s built sturdier and larger making it seem like it should hold up better over time and have less daily maintenance like refilling reservoirs or emptying spent capsule collection containers. If however you want some head-to-head comparisons of some of the more common choices in the Nespresso machine ecosystem we have those for you to peruse. Please know that all that has been said on this page is probably all you really need to know about the fundamental characteristics of all the machines in question. At this point you should be able to know which product line is right for you. The nitty-gritty on individual units however may help you decide on one model over the other so for that scan the lists below for the model you may be interested in a click through to directly compare it to it’s best alternative machines. What’s the Difference Between This Machine and That Machine? You may know for a fact that you want a base model Nespresso machine but which one is best and what’s the difference between them all? You may also know you want a high end Nespresso machine that gives you full control of everything just like a standard espresso machine… but which Creatista is the one for you? Scroll down and click through to read our direct comparisons of individual models. These are complete with all the granular detail that your stomach can handle. This is the smallest entry level machine and the newest in the Nespresso class of products. 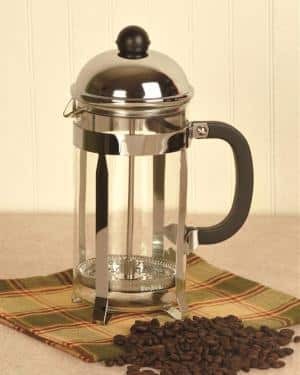 This model makes espresso just like all the other units but it’s just smaller all around with a smaller water tank, heating element, spent capsule container, and footprint. Not only is the Eseenza mini designed to be compact but its also a lot quieter than the other entry level models that have been around a lot longer. For the vast majority of people looking to try out the Nespresso system we have a hard time around here advising anyone to jump up to anything more expensive than the Essenza Mini. We have the following articles on this site that direct;y compare this unit to the other common alternatives, most of which fall into the entry level category. This is a similarly sized entry level machine that has long been a bestseller for years. It uses an older 19 bar pump to brew which is a little louder than the centrifuge tech used in the Vertuoline machines and the Essenza Mini and as you might expect is has been recently discontinued. The Inissia isn’t a bad machine though. It’s a little louder and larger than the Essenza Mini and the capsule lever can sometimes get in the way of your cups so it’s a no-brainer to opt for the Essenza these days but in case you find one of these still for sale its worth buying at the right price. We have the following comparison articles on the site directly comparing the Inissia to other entry level models. This one is also fancier. This model integrates an on board milk frother. This model is top of the line. People who are shopping for their first ever Nespresso machine typically ask any number of the following questions. Many of these questions are specific to features that some customers value most heavily. Others are more “good-to-know” information. Make sure to browse this list of questions as one, or two, or a few of them will be important to you. 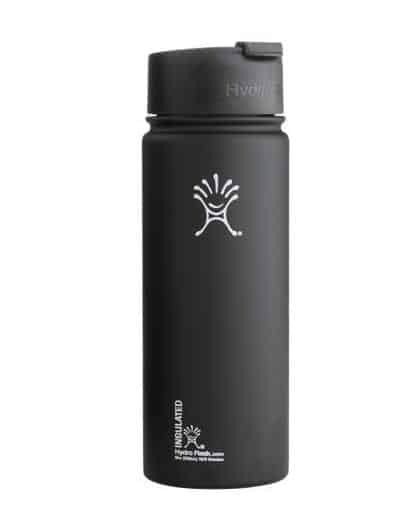 Of all the models in production the Essenza Mini has the smallest water reservoir and a shade over 20oz. Even making espresso shots this gets used up pretty quickly. 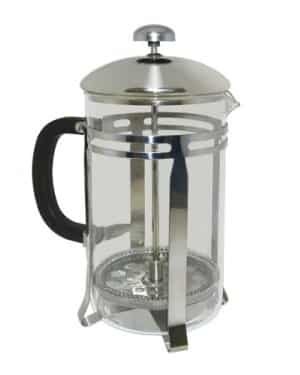 If you dislike the idea of having to refill the reservoir very often then go for any of the following models which all have pretty large water tanks for compact espresso machines. The CitiZ has a 34oz tank making it a lot bigger than the Essenza but still being priced like an entry level device. My personal favorite model for flexibility is the Nespresso Expert and it also has a larger tank sized at 37oz. It’s more expensive for sure but it’s no where near as expensive as some of the top priced models. The next step up moves us to the top of the Lattissima line. The Latissima Pro is very expensive and does just about everything you could imagine a super-automatic espresso machine could do. The reservoir is also the next biggest sized at 44oz. Again, if you really are fine spending a good chunk of cash on an espresso machine then you can’t go wrong with the Nespresso Creatista which is a pod-style push button espresso machine with a fully manual integrated steam wand. The water tank is also a very robust 50oz, nearly the largest in the Nespresso line of machines. If having the largest size water lank is your number one goal then you will have to make the jump from Origianlline machines to the Veruoline machines. The Evoluo taps out at 54oz in size making it the biggest of them all. This is partially due to the machines ability to brew up to 17oz at a time meaning the tank is large enough for three cups with their largest Vertuo capsule. Conversely, if you only make 1.5oz espresso shots all the time then you can brew a lot of cups before needing to refill that tank! Do Any Nespresso Machines Make Regular Coffee? Are There Any Other Machines That Can Brew Nespresso Style Capsules? Lastly, for people new to Nespresso make sure to see this article we previously published outlining the differences between Nespresso and Keurig coffee. They are obviously similar but also totally different.